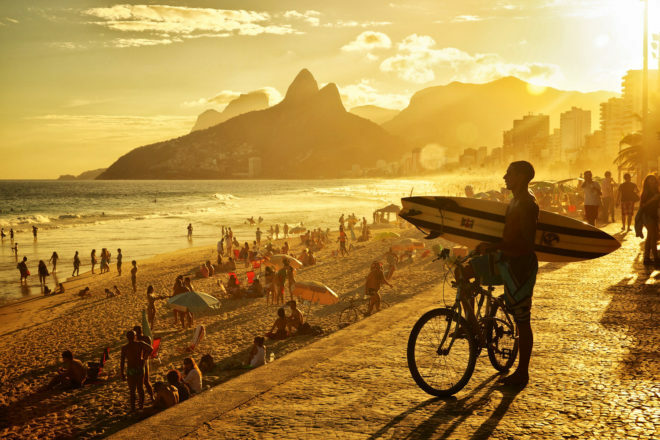 Discover why Rio De Janeiro in Brazil ranked #22 in our countdown of ‘100 Most Incredible Cities in the World’. Aside from the sprawling beaches, Rio sure knows how to party. The outrageous carnival features samba, flashy costumes and parade floats over a wild five-day celebration; the largest in the world. To see the real Rio, you have to leave Copacabana Beach behind and get out into a favela, one of the city’s sprawling shanty towns. Rio’s favelas are perhaps Brazil’s most famous, and beautiful, with old, paved streets and colourful, ramshackle houses bursting with Brazilian culture and food. A safe way to see this authentic slice of Rio is to hire a guide and take a walking tour from the top of the largest favela, Rocinha, to the bottom. Along the way you’ll see how most of the city goes about its daily life and maybe stop for a drink at a local ‘buteco’. What many don’t know is that the most breathtaking views of Rio are to be had from one of Rocinha’s many terraces.